Please join the 2015 Costa Rica Program for a night of sharing, learning, and discussion at their Research Symposium on Monday, May 11th from 4:30-7pm in the Student Center Pacific Ballroom. This past spring break 16 dedicated UCI students traveled to Costa Rica for a week of global sustainability and cultural immersion. The event includes a presentation about the program and a research fair showcasing the student research projects conducted while in Costa Rica. 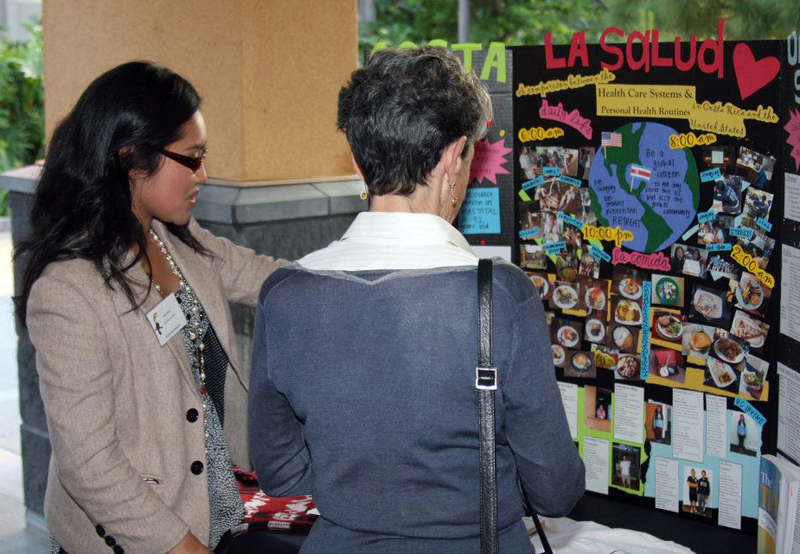 Dress is business and Costa Rican inspired heavy hors d’oeuvres will be served during the research fair. This year, we will be joined by the Global P.E.A.C.E. program, a Student Affairs Innovation Grant program, that also traveled to Costa Rica during spring break as part of a pilot program and focused on peace education. As part of the research symposium, they will share some highlights during the program and participate in the fair afterwards. The Costa Rica Program has been supported by many stakeholders and we are excited to share our experiences, research and memories of Costa Rica. Please RSVP by 5 PM on Friday, May 1st to attend the event. This event is open to the campus community and public, however RSVPs are required and the event is filled on a first-come, first-served basis. If you have questions about the program or event, please leave a comment on this post. We look forward to seeing you at this engaging event! As a supplement to this year’s Costa Rica Program schedule, the team spent the first weekend of Winter Quarter on a retreat that allowed us to practice sustainability, explore our strengths and weaknesses, learn to work as a team, and get to know one another on a deeper level. 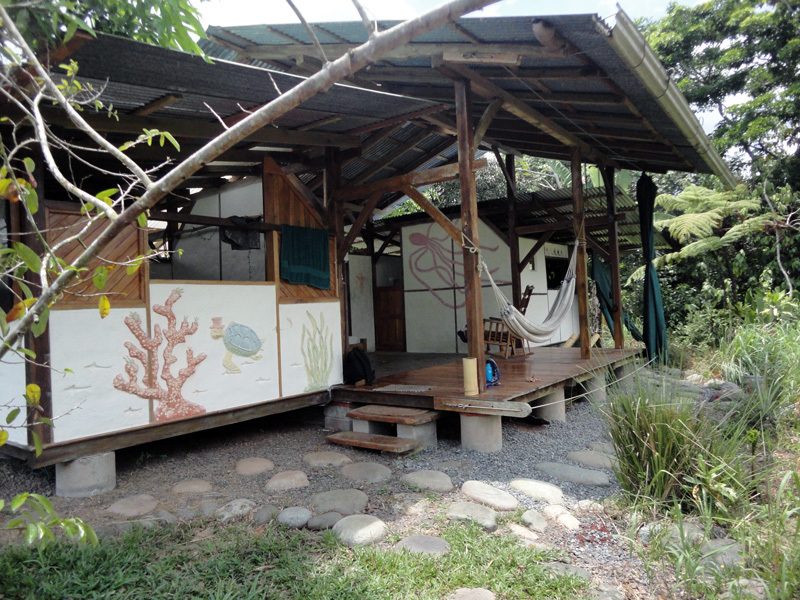 The open air houses scattered throughout the rural areas of Costa Rica made me realize how separated the inhabitants of first world countries are from nature. Growing up in a metropolitan city and currently living in Irvine, the thought of a house with no walls sitting in the middle of a rainforest had never crossed my mind. Open air houses are built through precision-based timber frame construction, where wood is used as the primary material. The people who build these glorious structures have not had any formal education in architecture or construction; however, they have learned through other people’s experience and trust their intuition. This reminded me that there are many different forms of learning aside from that which takes place in a lecture hall—the main form of education which I, as a biology major, have participated in thus far. 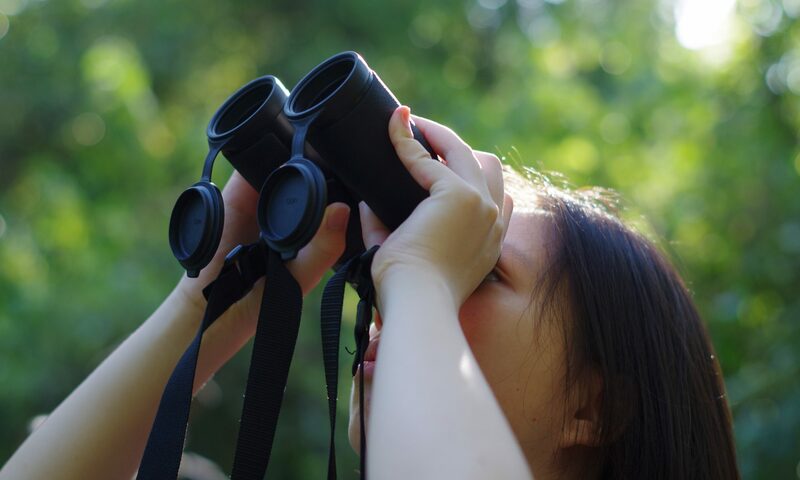 College education is still essential for my career path (pharmacy), but now I fully appreciate hands-on experience-based learning and find value in alternative forms of education. Not everyone is suited for traditional classroom style learning, nor is it available to everyone, and being able to recite equations or answer textbook problems is only a fraction of what is required in real life scenarios. 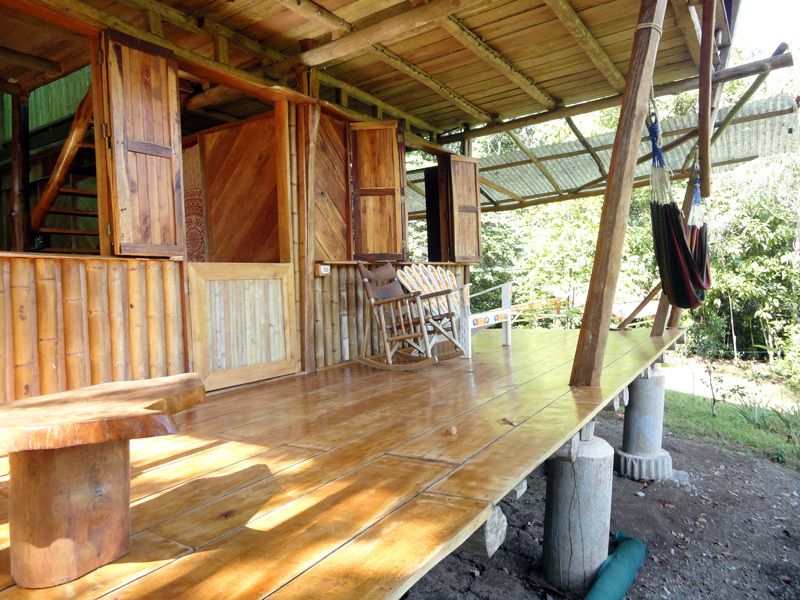 To build open air houses, carpenters in Costa Rica collect unwanted wood scraps (those that do not meet the minimum size requirement from companies that export Costa Rican wood), and by doing so they are reducing the negative environmental impact of deforestation projects, as well as their cost of building. Often, small cylindrical wooden dowels are used instead of metal screws to keep the structures together—a perfect example of people making-do with what they have. As a society, we don’t need flashy extravagant marble floors, glittery wallpaper, or large flat screen plasma televisions to build a comfortable home. To me, open air houses symbolize the simplicity of happiness, and the importance of being non-disruptive to nature. Swinging in a hammock while gazing out the magnificent mountains of La Cangreja National Park, being softly cradled by the warm humid tropical air, and listening to the sounds of nature has brought me more internal peace and happiness than any of my other traveling experiences, which I now find are excessive and selfish. I am ashamed to have been that tourist, who had the privilege to travel to many different countries, only to live in 5-star hotels, eat, shop, and then leave the country without having made any positive impact on the local community or learned anything. I strongly believe that traveling is the only thing we can buy that makes us richer, but the way I traveled with my family in the past just showed me that money buys good food, convenience, and service, which had absolutely no impact on my self-development and appreciation for everything I have. Seeing how minimal, simple, and clever open houses are definitely changed the way I want to travel and live life: no more expensive hotels, no more dream-yacht, no more trading social responsibility for convenience. The owner of Rancho Mastatal shared that his motivation for building open air houses is being able to apply his love and passion for sustainability to a project that will do the greater good, and having that tangible result that will house volunteers and other tourists for many years to come. The first step in building an open air house is to “site the building;” you need to determine where to put the structure, figure out draining, consider landslide risks, how the sun moves to maximize natural lighting, which is used to power solar panels and substitute for light bulbs. Next, the house needs to be designed around the information from the siting process; factors such as air circulation and how the rain falls are accounted for. 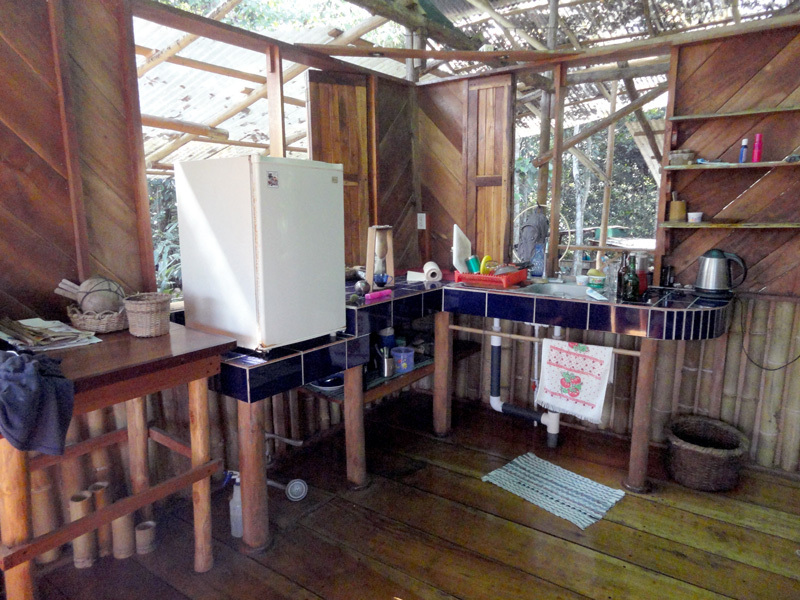 To build the structure, a foundation is laid down first, and then the wood is soaked in termite repellent, varnished and sanded down before being used. The measurements have to be exact in order for the structure to fit and for the “raising” process to go smoothly. Everything is built on the ground first, then “raised” or assembled afterwards. There is a lot of attention to detail, which I believe is more admirable, fascinating and impressive than using computer software to do all the calculation and planning. Open air houses are works of art; the builder incorporates their personality and life perspective into the structure. For example, one of the houses was called “Sea Port,” and there were mosaics of sharks, boats, and turtles made of recycled glass, and there were boat paddles and buoys hanging on the exterior walls of the house. Walls of homes are used to separate nature from humans, to keep the animals out; however, we often forget that we are animals too, and just because we are at the top of the food chain it doesn’t mean that we get to disrespectfully exploit other ecosystems by demolishing their habitats to build our own. Insects do not infest our homes, but rather we are living in their territories and killing them with bug spray when they are trying to co-exist with us. Ant infestations are good because they clean out food crumbs and dead bugs, and once nothing is left they will leave. Since the residents of open air houses do not store any packaged processed food, they don’t need to worry about bugs consuming their food. Open air houses caught my attention during the trip because they symbolized how humans and nature can coexist comfortably, safely, and sustainably. They showed me a completely new perspective of simple living and making-do with what you have, which unfortunately the first world is unable to do. We heavily rely on third world countries for natural resources because we have depleted our own sources, and instead of curbing our own usage we exploit other countries’ sources. What Have I Cotton Myself Into?